Some months ago I had reason to visit a friend of mine's wife who was in Huntsville Hospital battling cancer. I drove up from the Gulf coast alone and got into town around 3pm. I was supposed to be at the Hospital at 6pm so I used the time I had just driving the streets for a while visiting my parents and grandparents in our cemeteries plus wandering through old neighborhoods. I even stopped in Mullins, sat at the counter eating a hamburger with pickles and mayo, and listening to the general conversation. I noticed with some pride that a few of my old football pictures were hanging on the wall but I was really, really proud to see my Dad's picture as a Huntsville Police Officer hanging on the left hand side of the door as I was leaving (circa 1957 or 1958). He's the big guy in the middle. I still had a few minutes when I left Mullins so, in the dusk and on a whim I made two more brief stops. First I turned north on Andrew Jackson and pulled into the parking lot of the Jackson Way Styling Salon. I walked in the door and asked if Floyd Hardin was there - the only guy in the room was standing with his back to the door. He immediately turned around, walked straight up me, hugged my neck, and said "Dad gum, Mabel, where you been so long?" He knew exactly who I was even though I now have a beard, a pony tail, 10 extra pounds and bald on top not to mention being 56 years old and that I had not seen him in 34 years. It was a delight to sit and talk with him for a half hour or so. I left a message with him for all my old friends that he still sees. Mike Smith and Walt Thomas know the story of how I came to be called "Mabel" in the neighborhood so we can leave that for another time. After that I made a quick turn west on Humes Avenue and saw a guy cutting his grass in what used to be Mike Smith’s front yard across from the old Woodmen Of the World Hall. I casually pulled over and hopped out of my car and walked up to the guy. He cut the engine and I asked him “Hey, are you Billy Layne?” His response was typical for Billy; “Depends on who wants to know!” he said. When I told him who I was he grabbed me by the arm and said essentially the same thing Floyd had except with a little more enthusiasm “Boy, where’ve you been all these years?” I had a few minutes before I had to go so we could talk for only just a bit. Mike’s mom was at the grocery so I missed her. I asked Billy to pass on my regards to her and Mike. I left the hospital that night and drove directly back to south Alabama. What a wonderful feeling to come home again if only for a few minutes. Author’s note: This is a story from 12 years ago written for Tommy and LHS. I have lightly edited it for this edition. Of course, the subject of my visit was terrible, and it was memorable for that reason. Aside from that I was almost overwhelmed by pleasant melancholy emotions during the events described here. At the time I had not been home for a very long time; it truly is where my heart lies – ‘til then I did not know how much I truly missed it. I suspect this may mirror the experiences some of you may have had over the years. Please enjoy. Our group from '64, '65, and '66 met for our biannual lunch last week at Galen's Restaurant in Huntsville. We had about 45 of our group in attendance. As usual we had a couple from out of state, some from out of town, and the rest from in and around Huntsville. It is always good to see our regular faithful members and missed those unable to come this time, but it is also great to have a first timer show up to join us. One of our former classmates from the Class of '64, Lehman Williams, contacted me prior to our luncheon date and expressed his wish to treat our group to lunch last week. Lehman lives in California and does not travel back to Huntsville often, but he does keep up with our group and just wanted to do something nice for us. Everyone was pleasantly surprised and very appreciative for Lehman's thoughtful and generous gesture. Lehman has certainly set the bar high now for others in our group who live far away and cannot attend our lunches. If anyone else wants to treat our group, you are more than welcome to do so, however, if you talk to Lehman and he tells you how expensive our lunch tab was, you may think twice! Just kidding. We do not expect any of you to pay for our lunch. It was just such a nice thing for Lehman to do for us. We love you, Lehman! Memphis, TN - The notice to Darryl Glassco was returned as undelivered. If you are reading this Darryl (or you have a good email for him) please send me your new email address. Thanks to everyone for their continued support of Lee's Traveller through their emails and stories to share with their classmates. It certainly makes my job easier when I get this type of support, and I am sure many of you are happy to see their memories through someone's other than my eyes and memories. That said, I have emptied the file cabinet of contributed stories unless someone emails me to remind me of one they sent and I overlooked. That said, perhaps it is time to remind you all of our mission statement. Our primary goal is entertainment and to have fun. We do not desire to offend any person or group, but we will not let political correctness cause an unnecessary hardship. 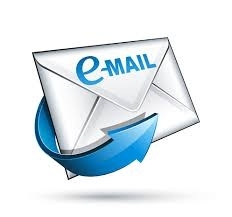 We avoid religion and political issues and do not post e-mails that talk about such subjects unless they have a direct connection with a classmate. We do not forward bulk e-mails or jokes to the group. The purpose of most articles will be to inform and inspire. We want articles that will make our classmates relate to the subject and force them to remember common things. A good article will include as many names, events, and items that other classmates remember and if possible some visual aid should be included. Some articles will be designed to show that we are not dead yet, and to let our classmates know that there is still a lot of living to do. We want a lot of humor in our lives, and the more we can add the better. The primary goal of most articles is to encourage feedback from other classmates with similar stories or to enhance or expand on the ideas presented. Of course, death notices, sick families, etc. will be the exceptions. For memories of most music, entertainment, events, etc. we should try to use 1966 as the cutoff. If that is not possible, at least try to relate what we write to that time, such as going to a concert today for someone we listened to back in school, or something that happened in college or afterward, but with a classmate from school. Lee High School and Huntsville in general are our most common bonds for the entire group. Most of our readers are entertained by the things that happened from 1st grade to the time of their graduation. The series about cologne was really fun. I would now like to offer a TV commercial about shaving cream? This one features Joe Namath shaving (with Noxzema), then being rubbed cheek-to-cheek by a young Farrah Fawcett. If memory serves, this was filmed in the late 1960s or early 1970s, before she became well-known for "Charlie's Angels." A guy I interned with at Grady Memorial Hospital grew up in Corpus Christy, Texas and his main claim to fame was that they were high school classmates; made him a Hero among male fellow interns. As John noted, we have had such fun talking about the aftershave, colognes, and perfumes of our high school days, I think it would be just as much fun to continue the subject with another product. I think it would be a safe bet to say that most of us boys did not start worrying about body odors much before we entered high school. Prior to then, most boys at least, did not use any type of deodorant or anti-perspiration products to cover up the smell of our maturing bodies. I am willing to admit I am wrong if a majority of you want to dispute my claim. I would love to hear from any of you who remembers when you started worrying about body odor, and what product you first remember using to combat it. I would especially like to hear from the female side of this discussion. In the late 1950s, manufacturers began using aerosol technology to dispense personal care products such as perfumes and shaving creams. In the early 1960s, the first aerosol antiperspirant hit the market. Aerosols became a popular way to dispense antiperspirants, by 1967, half the antiperspirants sold (in the USA) were aerosol sprays, and by the early 1970s, they accounted for 82% of all sales. What was the first aerosol antiperspirant? Please send me your own memories of this smelly subject or the product you used instead. It will be interesting to see what kind of responses I get. Aren’t we all so very proud of our classmate Jim McBride? He is an incredible talent and a humble and generous songwriter and a wonderful father and family man. He is simply the best. It is a hell of a thing to know a Nashville songwriter...but it is more of a hell of a thing to know a guy like Jim McBride.